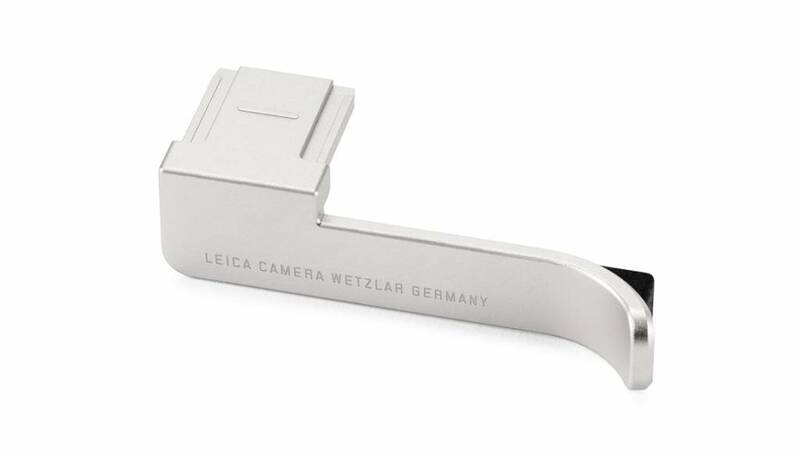 Sliding the thumb rest into the accessory shoe enhances the ergonomics of the Leica CL-silver. With the thumb pressed up against the thumb rest, the camera can be held much more steadily and is easier to handle. It makes single-handed shooting much steadier and enables the use of longer shutter speeds without the risk of camera shake. The thumb rest is CNC-machined from aluminium, has the same Eloxal finish as the Leica CL-silver and, when attached, merges with the camera in visual unity.